Argh! I know less now than I did yesterday! Everytime I turn around the things I know are wrong. First meat is bad soy is good. Then Soy is unhealthy, use whey protein. Now protein is overhyped by the supplement industry & is possibly linked to liver issues, kidney issues & bone loss?! WE DON’T EVEN HAVE 9 PLANETS ANYMORE! …and that’s just scientific facts. I don’t even know where to begin with all this Internal Arts mumbo jumbo. How the hell am I Supposed to learn anything when the facts keep changing! Relax. Flow with the changes. …you get one step closer to being right! We love the eclectic approach to these arts because having a wide range of teachers and influences is incredibly useful. You can cross check, reference, verify & fill in the pieces. …and you get a much clearer picture of where these arts begin and end, where they overlap and where they differ. This research & study is what Sigung Clear has been working hard at for over 30 years now. What he’s found is that the best way to understand the full breadth and depth of a single art is to study multiple related arts. 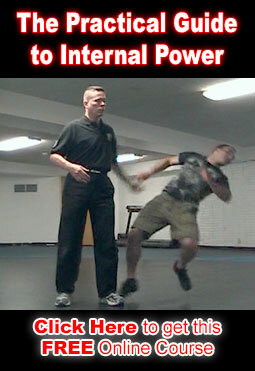 The Internal Combat Arts Course is designed around this idea. To give you pieces that are all too often missing so you can get a Clear picture of how these arts fit together. …and give you a bunch of hands on, practical stuff you can start using tomorrow.